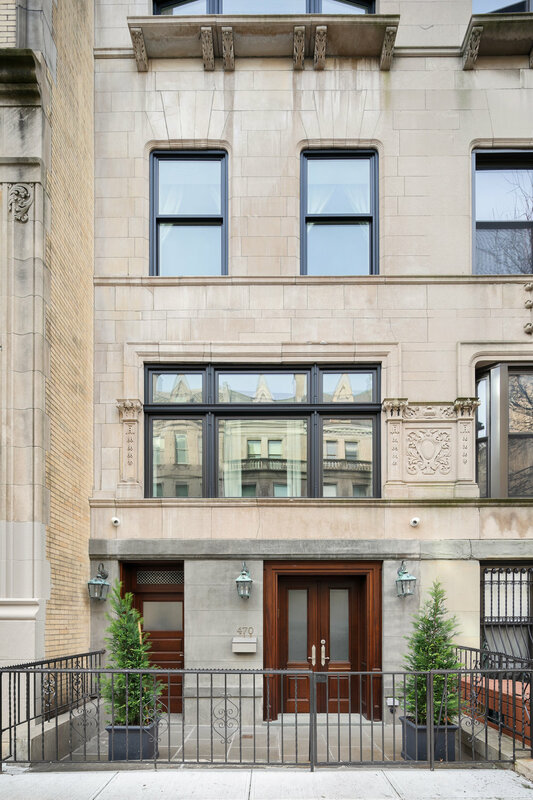 Our favorite listing this week is could be a record setting home in the Hamilton Heights area at 470 West 143rd st. currently listed for $5,850,000. A 5 Floor, 4 Bedroom, 4.5 bathroom, townhouse that includes an ‘English pub’ on top, i.e. the sixth floor which leads to a double roof deck with copper lanterns and a windmill water fall, and overlooking Our Lady of Lourdes Cathedral. 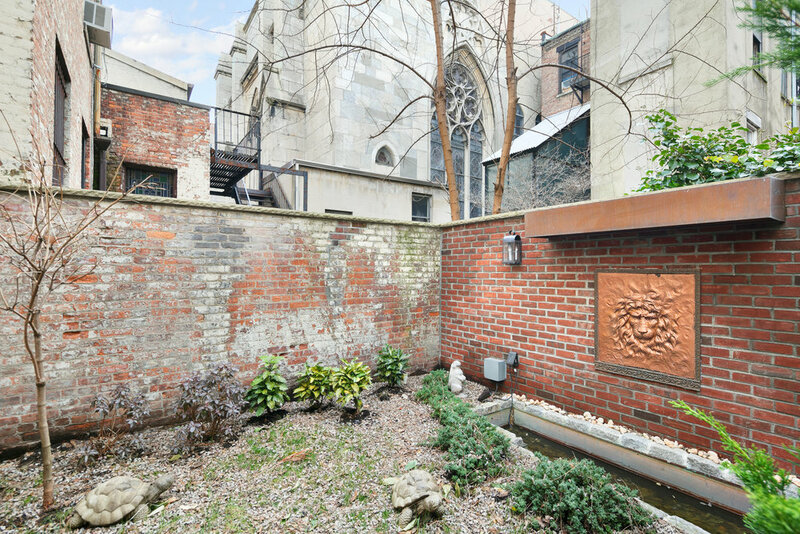 The garden with an English brick wall has a charming fountain and on the modern side, a hot tub and outdoor shower. A chic minimal home, rich in design and materials. Everything that you would expect in a modern smart house with a full gut renovation; a chef’s kitchen, four large bedrooms, four beautifully tiled bathrooms with heated floors, soaking tubs and rain showers. This home a masterpiece of fine modern living: a colonial mantle from 1741, exquisite fixtures from Italy, Finland and Amish America. Two grand slate fireplaces, one gas, one wood burning, the last approved wood burning fireplace in New York City. Hand laid marble mosaics along the walls tastefully blended with the masterful flooring of French wide plank oak. Thick mahogany doors lead into a large foyer adorned with antique glass and inlay marble. Discretely adjoining the foyer we have a spacious cloak room, a powder room and a mud room with a separate entrance. Tamara Marotta at Corcoran is the listing agent.